mod-ified music: more information about Nana Kinomi..
more information about Nana Kinomi..
Jun Yoshihara from The Rock 'n' Roll Aids Production has very kindly provided me with more information about Nana Kinomi. I love that photo of her by the way. She looks so cool! Her real name is Mariko Ikeda. Her father was a trumpeter of the Nichigeki-theatre orchestra. At the age of 15, she passed an audition, and debuted in 1962. Nana released 24 EPs and 2 albums in 1962-1969. 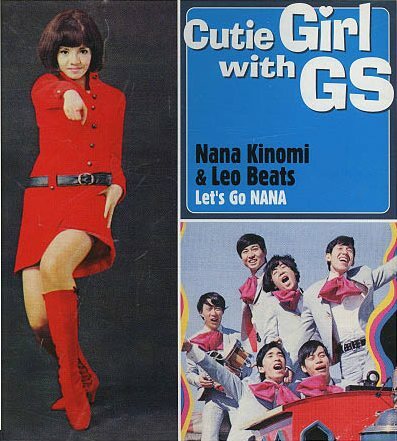 "I Love You" was included LP "Let's Go Nana" (1968) as Nana Kinomi & Leo Beats. After the 1970's, she performed in musicals to great success, and can still be seen on TV in Japan. you always come up with best gems. love the cool ending!